RUCHIRA SEN—Happy birthday Dr. Marx. You died in sickness and poverty leaving the world with some of the richest works in political economy, sociology and philosophy known to all of mankind. We’re still unearthing some of your lesser known contributions. You were more than a theoretical genius and your theory went with praxis and your praxis went with theory. Google may not give you a doodle and the capitalist class will try to bury your memory, but you will always remain the most influential scholar of the 19th century, with a profound impact thereafter. You genuinely cared about humankind, for the end to alienation and exploitation and for the true and complete development of human potential. As long as there is injustice and exploitation, there is Marx. Marx lives. 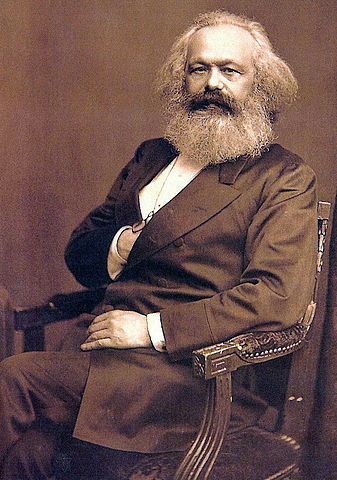 This paper provides a brief explication of Marxian social theory. It examines the Marxian view of the development of capitalism and the contradictions that make capitalist crisis inherent in the system. In this regard, this paper argues that the Marxian explanation for crisis in capitalism is superior to the neoclassical consensus approach which simply assumes crisis away. This paper also tries to look at Marxian social theory from a contemporary lens, revisiting the structure-agency debates about revolutionary political praxis in the Second International and taking lessons from them with regard to the further development of Marxian social theory to address the questions of economic instability at the core of capitalist development and indecent labour conditions at the periphery today. Learn more at RUCHIRA SEN.